I was snuggled up under my soft woollen blanket in bed, sipping hot chocolate and browsing through Pinterest on my phone (as you do on a cold Sunday evening! ), where I found the best Autumnal/ Winter inspiration. I couldn’t resist not sharing some of my favourite pins with you all! Don’t forget to follow my Pinterest account for more beauty, fashion and lifestyle inspiration! What is your favourite part of Autumn/ Winter? Ahhh swoon! I wish it would stay cold where I live, I don't want summer just yet. These photos are amazing. Lovely inspiration! perfect inspiration! Lovely colours and the white makes it feel fresh and nice! I'll have to check out your Pinterest account because it's giving me life right now! Loving this mood board, it basically sums up everything I love about this season! 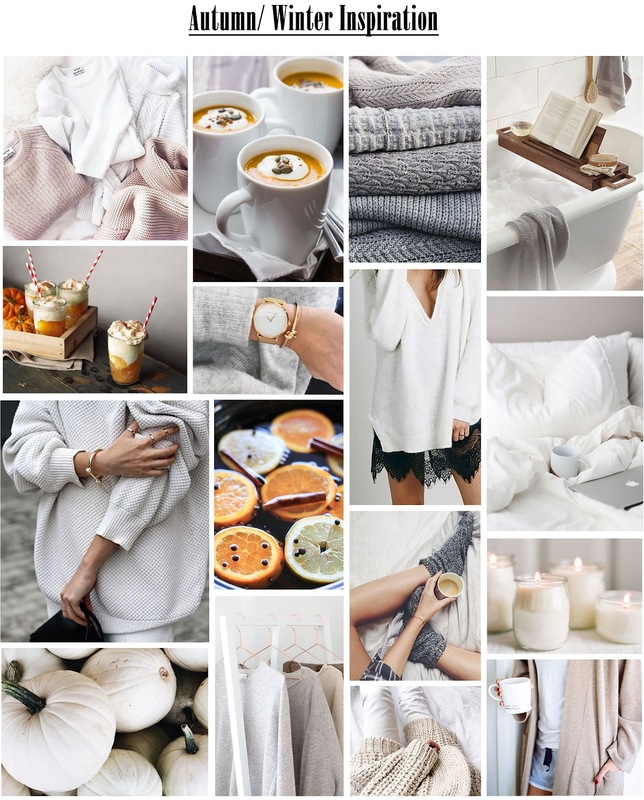 I love this Autumn and Winter inspo board! Although I am heading into Summer here in Sydney these images make me miss the cold somewhat! I'm obsessed with Pinterest, it's the best of finding inspiration! !